Over the years, through life's inevitable ups and downs, we've determined seven traits that we live by in order to put our best selves forward. We know if we follow these values, our experiences will be more meaningful and our lives more full. I recently wrote a little bit about each one and posted them to Instagram. Here is a summary of all seven. Like roads that connect every small town to big city, coast to coast, wide open plains to spectacular mountain ranges, we, too, are all connected. 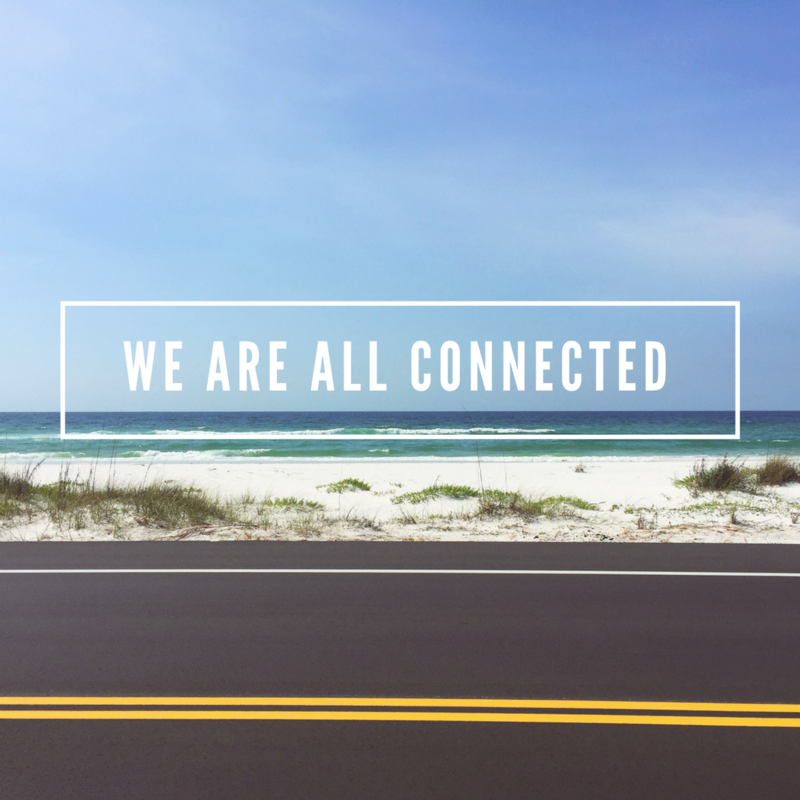 We’re connected by family ties, friendships, jobs, life experiences, social media, and the deep underlying force that connects every living thing: Love. And like roads, no two connections are the same. Highways are social channels, connecting millions of us instantly from anywhere. Back country roads are family ties, familiar, strong, and rarely changing. Side streets, perhaps, are strangers we meet in passing and don’t see again. Gravel and dirt roads are friendships. We seek these out because the most unexpected and beautiful places happen to be down untravelled roads, just as the deepest connections we feel are with friends and those who truly ground us. Maybe it’s because we can feel a deeper connection with the earth when it’s right under our feet (and tires). We are all connected means respecting all living beings and the space we share in this universe. We see evidence every single day of the underlying connection we all share. Tap into that Love. Recognize it in each other. Honor that and everything else will fall into the right place in life. And the next time you're feeling lost, maybe go for a drive. 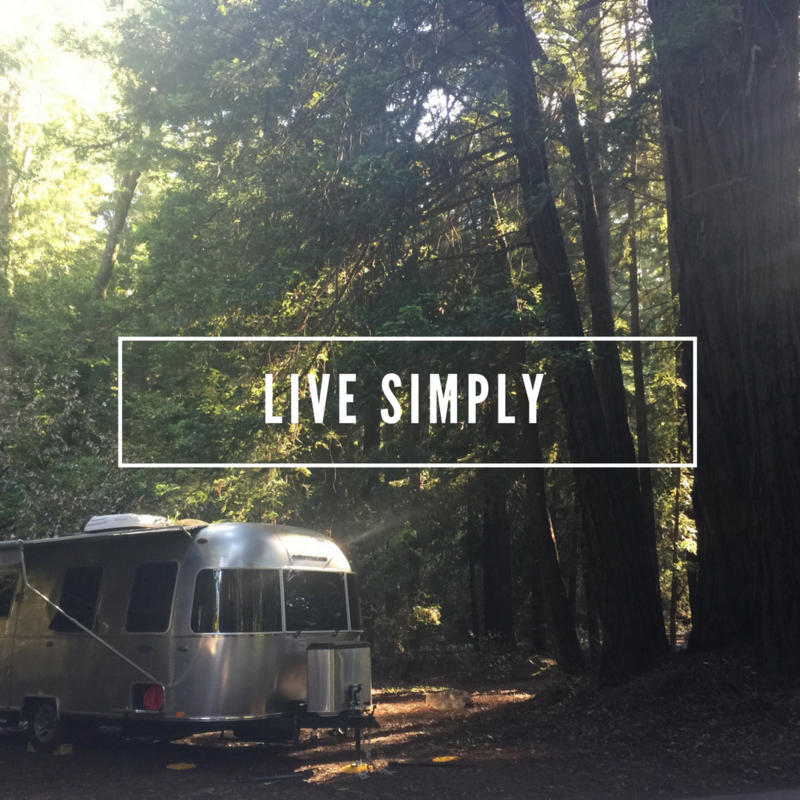 What does it mean to live simply? We can agree there’s no cookie cutter definition. If we’re being honest, I wouldn’t describe our life as simple at all. We may live in a tiny home, but our life is ever changing, rich in experience and emotion, challenging, complex, big, bold, stressful, joyful, and fulfilling. To us, living simply simply means being present in every moment. When you eat, just eat and be thankful for the nourishment. When you’re having a conversation, listen instead of thinking about what you’ll say next. When you’re cooking, focus on the chopping, mixing, and love that you pour into the recipe. It’s hard to get out of the mindset of thinking we’ll fall behind or miss something if we aren’t multitasking, but that is exactly where our stress originates. It’s not real. Instead, practice mindfulness in everything you do. Breathe. Enjoy. Smile. That’s not to say don’t plan (we have to! ), but don’t stress or over analyze your past or future. Because literally all that exists is right NOW. Attempt to be present in every moment for a whole day and your perspective just may change. And if you lived the rest of your life mindfully I can guarantee it will be fulfilling, beautiful, and absolutely perfect no matter what. 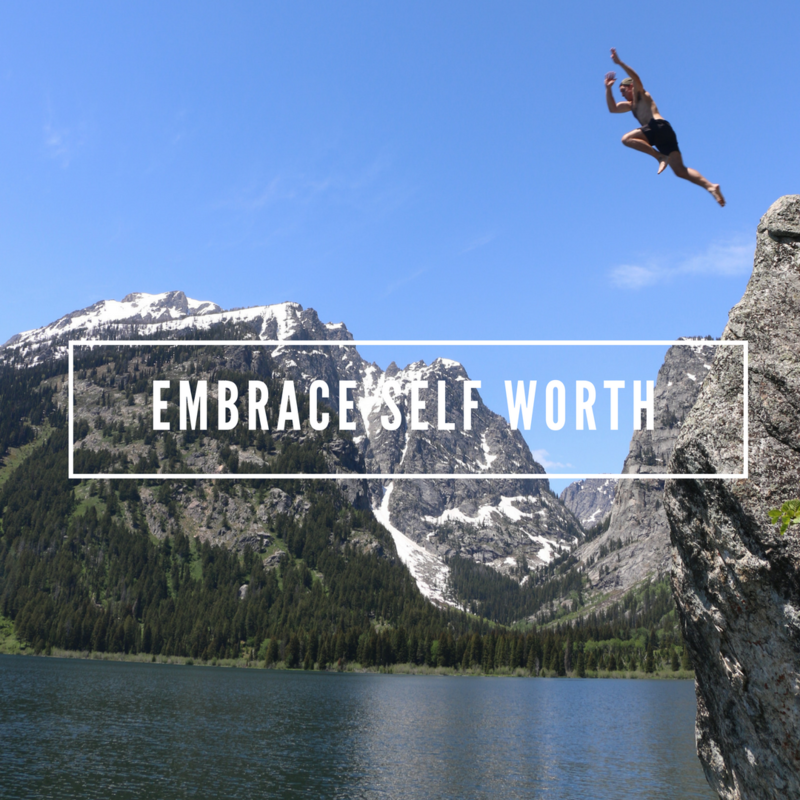 Self worth is more than confidence. It’s recognizing you have purpose. It’s learning to be present. It’s knowing who you are, passionate about where you’re going, and open to every experience along the way. And it is in embracing our self worth that we are truly able to become selfless; able to recognize the worth of others and approach them with a compassionate heart. Know you are capable of wonderful things that have the potential to change your life or someone else’s, even if in an ever-so-subtle way. Embracing self worth is something we have to remind ourselves to do everyday with each new adventure and unfamiliar experience. It’s being able to leap into the unknown knowing you are powerful and resilient! That confidence starts with building yourself up instead of tearing yourself down. Take care of yourself mentally and physically and know that you alone have control of your thoughts, emotions, and reality. Take ownership of everything that happens in your life, the good and bad, and always being growing. And above all, learn to see every moment of your life as an opportunity spread love. We firmly believe in the power of thought. Thoughts and words direct energy. With the addition of action, that energy can be a powerful force, shaping our realities. 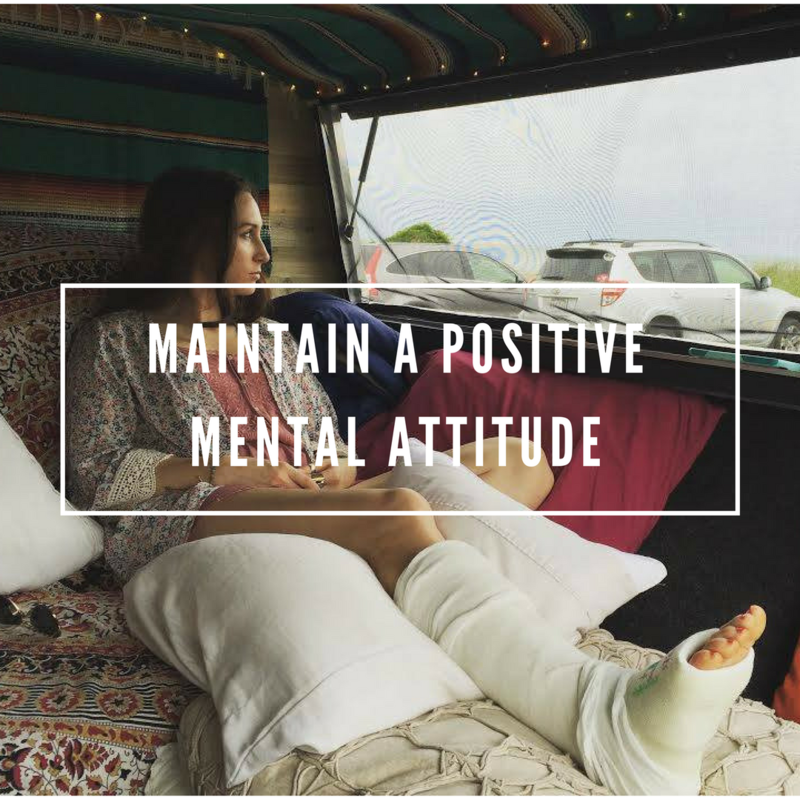 It’s how we are able to live a life of adventure, maintain a positive disposition through anything, and how we have been able to pursue our passions. We are not preaching blind optimism. Just try to embrace every situation, annoyance, or responsibility with open arms. This mix of joy, love, pain, and resilience is what life is made of. Maintaining a positive attitude of gratitude puts all things in perspective. Approach everyone with Unconditional Positive Regard and a new world of Love, respect, and opportunity will open up to you! We’re all on a path to somewhere. Sometimes that path can be dark and unclear. But the human mind is powerful. Sometimes all it takes is a spark, a shift in mindset to get back on track. So, this year and everyday, resolve to keep an open mind, an open heart, and to try every moment to maintain a positive mental attitude. We have probably all felt or experienced it. You’re thinking about a song and it comes on the radio, you are thinking about someone you haven’t seen in a while and they reach out, you meditate on something that’s been bothering you and it resolves more easily. This is direct proof of our cosmic connection to all things. Our power is simply tapping into an energy we are all part of. Meditation and prayer are ways of focusing and concentrating that energy. And this power is amplified when more than one person meditates or prays together on a common thought. Where people get tripped up is assuming we mean thinking passively about something and it appearing from thin air. Faith without a doubt is the key. You have to know you are part of the great divine energy and be grateful even before manifestation. Justin and I feel we manifested our current situation. A few years ago, we knew we wanted to pay off our student debt and change our lifestyle. As we were able to really shape what “change our lifestyle” meant, we meditated, prayed, AND took actions towards it. Pieces started falling into place without much effort. That’s not to say we had unwavering doubt 24/7 (Virginia Blue was a huge lesson in this and other things), but that’s okay. We learned that our energy is very powerful. We practiced meditating even more. We read and talked, always growing, all the while dreaming of a life on the road. Then we did it. 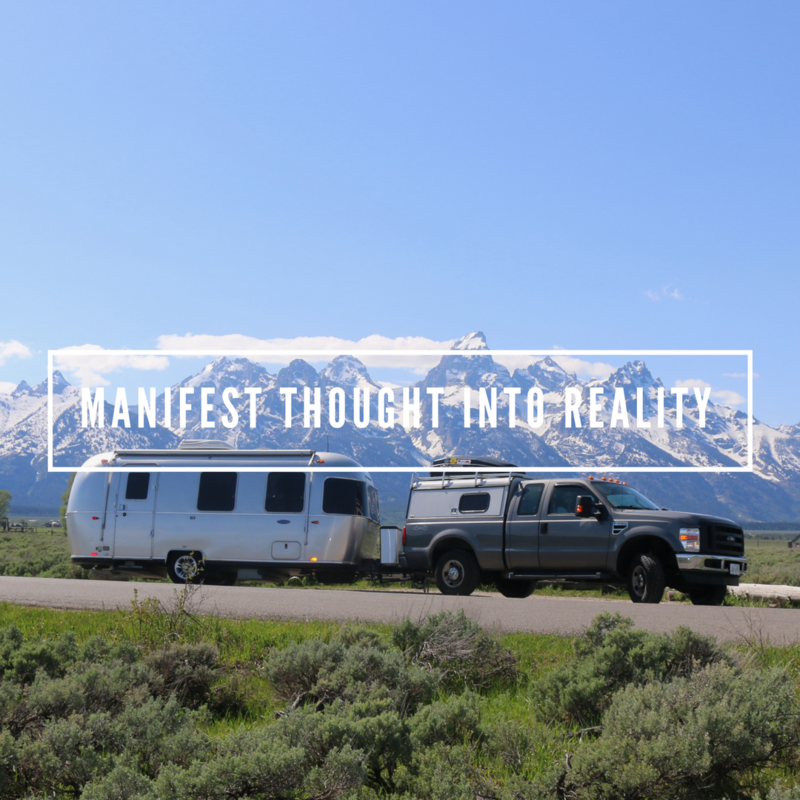 Justin became able to telecommute, we became financially able for me to leave my full time position at Harvard, and our path rapidly led us to buying Dot the Airstream. We all are constantly shaping our world and circumstances: through our thoughts and feelings, more powerfully our words, and even more powerfully our intentions and actions. Our advice is be mindful. When eating, think about your food and the gratitude you feel for the nourishment, when exercising, think about your movements, muscles, and goals, when interacting with anyone, surround them in white light and radiant love (and see how that transforms your conversation), and when you set out to accomplish anything, feel it, see it, be thankful, and watch it unfold. Sit quietly. Listen deeply. What do you hear? What do you feel? Once you identify and work through the hundreds of thoughts vying for your attention, focus on your breath or the sounds around you and you just may tap into the Divine Wild, your Inner Voice, your True Self. What is it telling you? Sometimes just listening to this voice is what keeps me in check with Who I Really Am, my Wild Self. It’s a practice I try to do everyday, a check-in. It could be that I hear something drastically different from my actions, or it may just be an affirmation of the path I’m on. One is for sure; I never regret listening. Let’s talk about comfort zone. It’s a deceptive place. Seemingly harmless and safe, comfort zones are slowly draining us. Knowing what to expect makes us not have to exercise our creativity. It’s in embracing the unknown where we truly Live. Wildness is about living instinctually and following your inner Divine voice to the best of your ability. Embrace every moment, be present, and fully live it. To be clear, this does not mean living a jumping-out-of-airplanes, slacklining-across-a-ravine, or diving-with-sharks life if that’s not Who You Really Are. It means following your own compass. 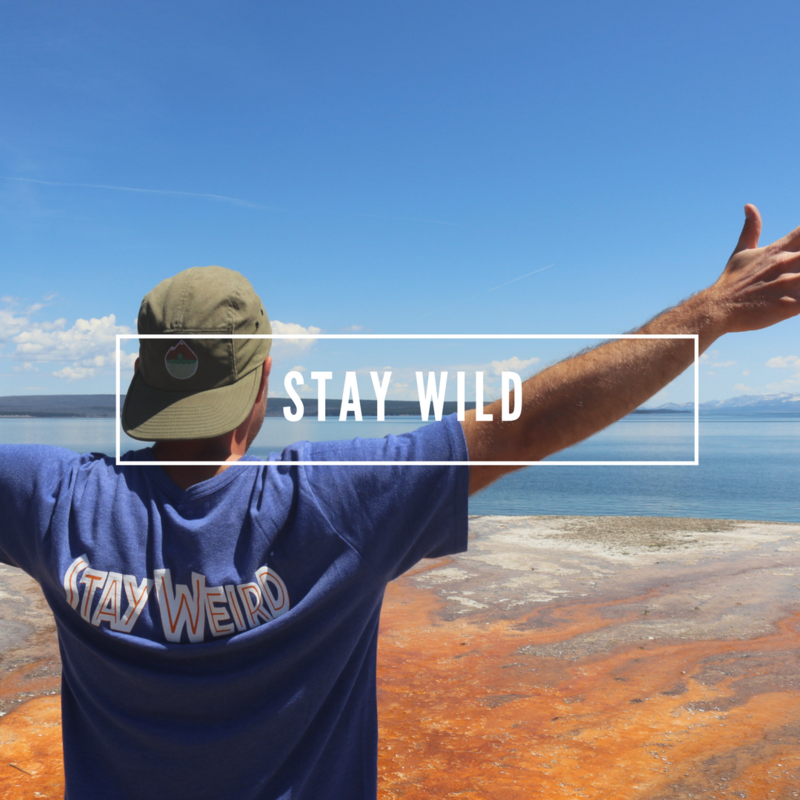 Wildness is staying true to your authentic self and standing up for what you believe. Once you feel that Divine Spark, remember what it feels like so you can recognize it again and again and choose it over and over in your life in each moment. Travel brings out the Wild in us. It calls to us constantly and we answer. 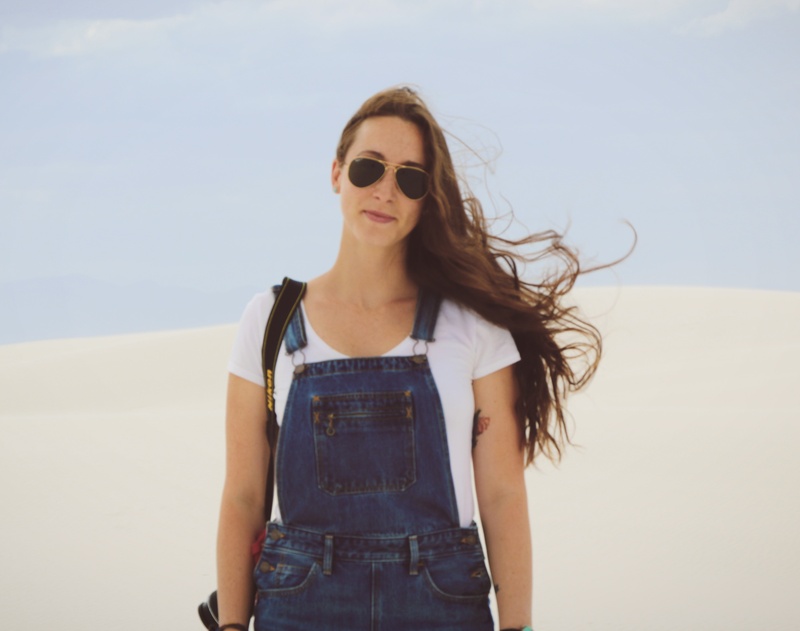 Not everyone has the opportunity to be as mobile for work (see our Digital Nomad Guide), but that doesn’t mean you can’t embrace the Wild just as much as we do. If traveling isn’t something that calls to you, what does? What makes you feel pure, joyful, elated, and whole? Follow THOSE feelings! That is your True Self. Find a way to make it happen at least once a day for a moment. It’s not something you should ignore, believe us. 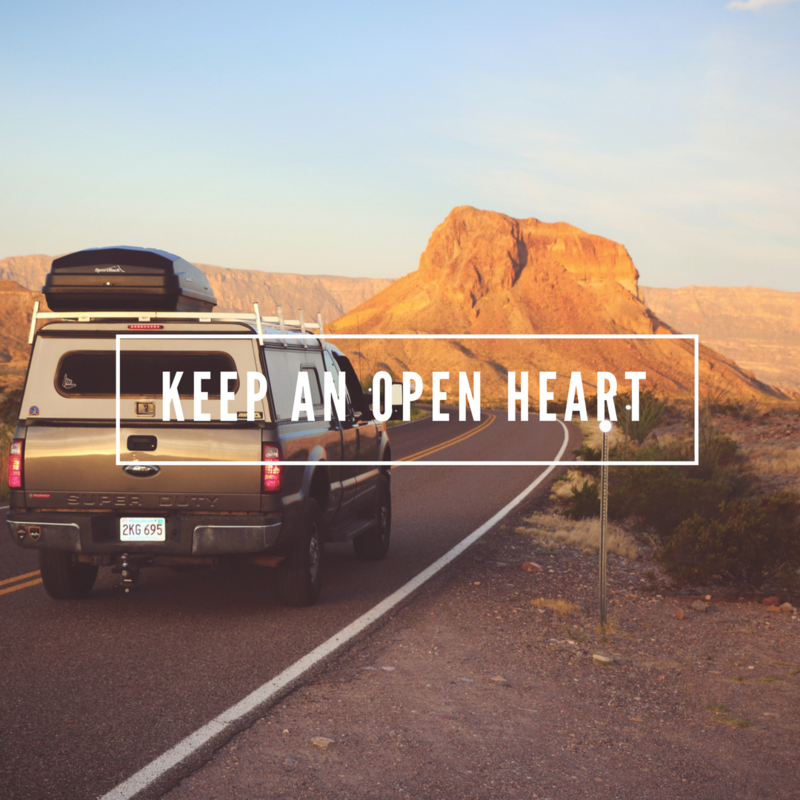 Open minds, open hearts. If there is one thing we’ve learned on our journey, it is that everyone is on their own path. Each soul’s journey is unique, just like each camper or bus or van we pass going down the road has their own route planned out (or none at all!). We have no clue, really, what it is truly like to be on someone else’s journey besides our own (even people we live with everyday). That is why it is so important to release judgment. We have been inherently taught to judge others, whether we realize it or not. Religious beliefs, lifestyle, political stances, and life choices are all drenched in judgment. But we can re-train our minds by constantly “thought correcting” as we go through our day if we find ourselves going to a place of judgment. Turn it around. If we can learn to see even slightly through the eyes of our complete opposite, to see the beauty and divinity in them and the sacredness of their journey, we’ll be well on our way to peace.